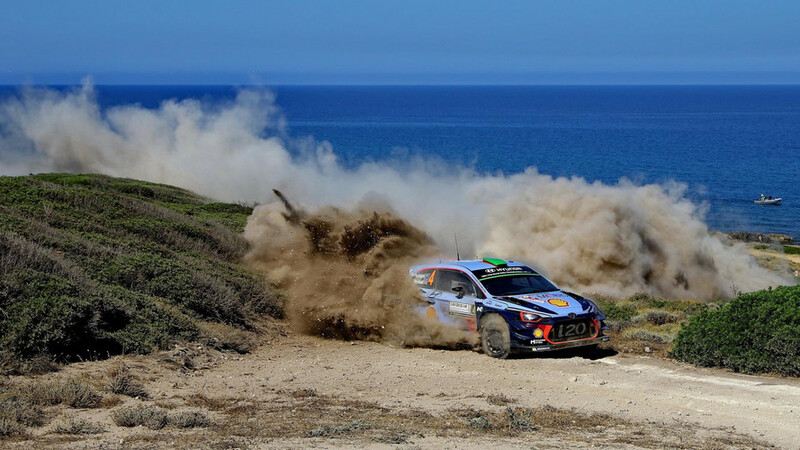 We follow the Hyundai Motorsports team at Rally Italia, and learn a lot about what’ll make the company’s road cars right for enthusiasts in the years to come. As yet another prodigious cloud of orange dust settled out of the air and onto everything around me, I realized that wearing these new, suede Nikes probably wasn’t the wisest move. Sardinia is powder dry during the summer months, the dates of the WRC Rally Italia, and my first visit here being no exception. 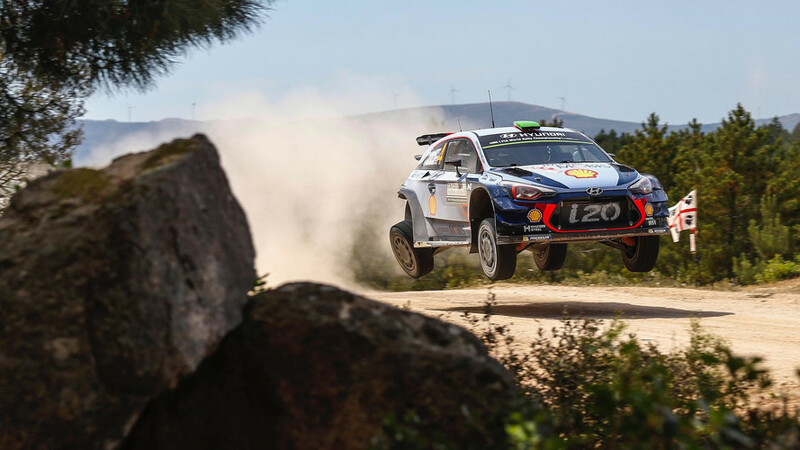 And while it makes cars like the Hyundai i20 WRC look maniacal as they slide around a hairpin’s apex, the tsunamis of airborne dirt really wreak havoc on one’s sneaker game. A worthwhile sacrifice. The fact that I’m here getting dirty at all is a minor miracle. While the folks over at Motorsport.com bring you all the WRC news you can handle, the side of a rally stage isn’t my natural workplace. 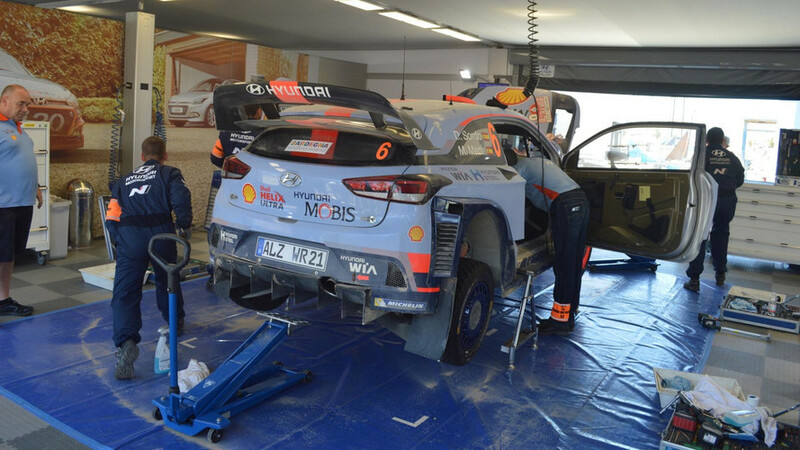 But the 2017 season marks Hyundai Motorsport’s fourth as a factory-backed team, and despite the fact that Americans can’t easily follow the sport (or perhaps because of it), it’s an effort that could ultimately change the way we feel about the company’s road-going products. 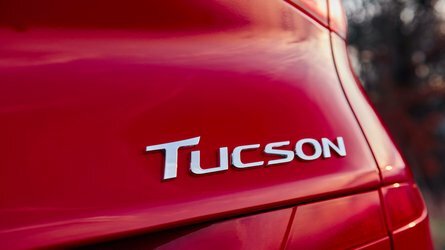 Survey your average car buyer in the U.S. about the Hyundai brand, and there’s a near-to-zero chance that the word “performance” will surface. The South Korean company has made huge strides in our market, thanks to ever-better styling, fuel economy, and especially reliability. But, and with apologies to the new Elantra Sport, the performance story is virtually non-existent. But one glance down from the second story of the team’s massive mobile paddock, and it’s clear that a lot of dough is being spent to combat that perception. Since developing the motorsports division in 2012, the company has spent millions (probably hundreds of millions, but no one will go on record with a dollar amount) in an attempt to get customers to associate the Hyundai name with racing machines. 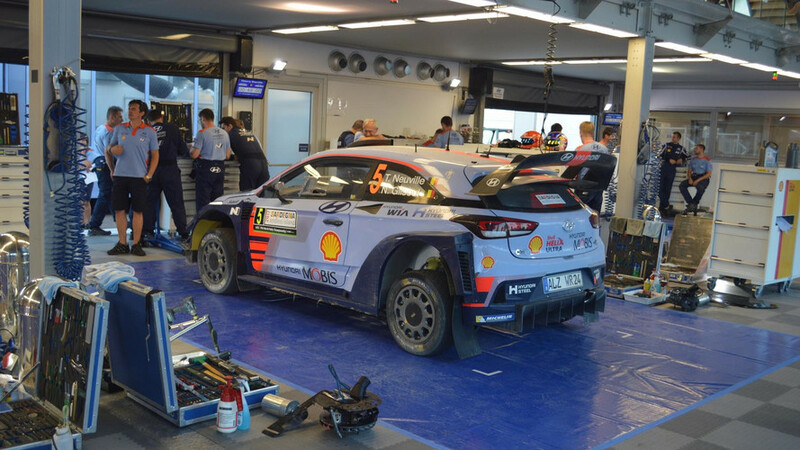 The i20 WRC is proof positive in that regard. For those of you who aren’t familiar, the i20 is a European super mini, with no direct relation here in the U.S., and as a rally machine it’s appropriately badass. A magnificent, multi-element rear wing dominates this dirt-racer, while blistered wheel arches and imposing tires make certain you won’t forget what this purpose-built machine is for. And yet, in the way that makes all top-level WRC cars pretty brilliant, it still looks unmistakably like the i20 one can buy anywhere in Europe. The family face is there (helped out by the “i20” graphic on the radiator), as is the overall shape of a nippy, useful hatchback. Unlike the “stock” cars of NASCAR, the i20 is required to remain quite functional. Teams and drivers decide how many (and which type) of spare tires must be housed in the hatchback, along with the tools needed for changing them out, and occasionally making other rudimentary fixes on the fly. Of course, there are two real seats, too – I would become intimately familiar with that co-driver seat before I flew home from Sardinia. 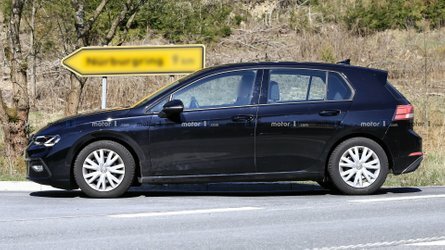 Despite the looks and the impressively functionality, this i20 is still a thoroughbred. 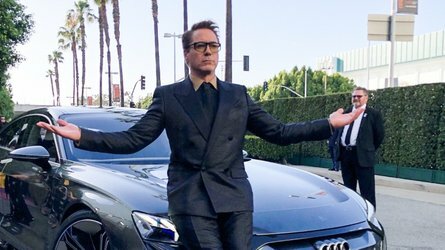 The car’s 1.6-liter inline four-cylinder engine has been furiously turbocharged to the tune of 380 horsepower and 332 pound-feet of torque. 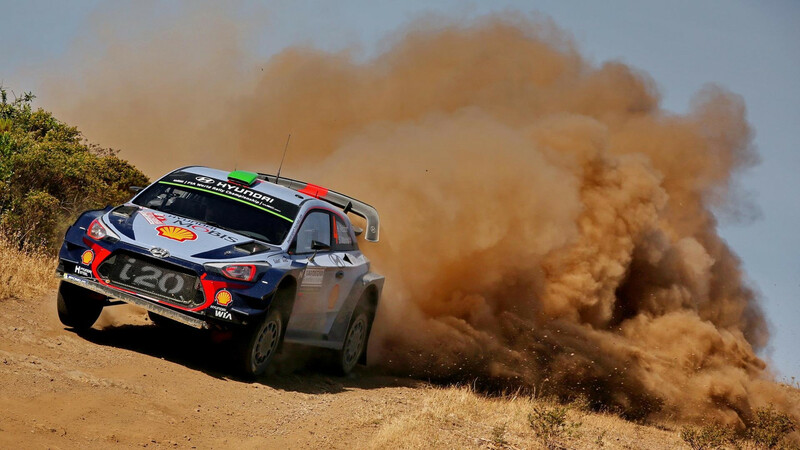 More than enough oomph to rocket the 2,600-pound car (a bit over 2,900 with driver and co-driver) to unfathomable speeds over the face of the Earth… on dirt and gravel, don’t forget. 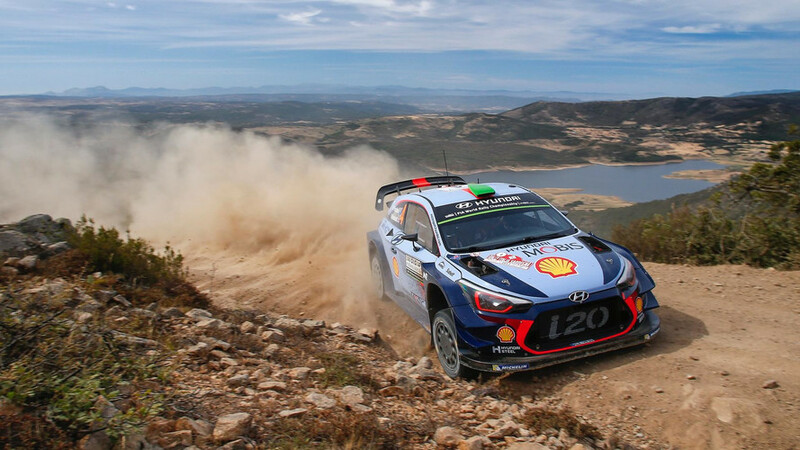 Though it may be a relative newbie to the world of sport, Hyundai is already taking lessons learned from a successful WRC program – the team currently holds second place in the manufacturer standings, with ace driver Thierry Neuville second for drivers, as well – and applying them to road cars. Don’t mistake me, I know that the concept of “technology transfer” is a lot looser now than it was in the wildly inventive days of 20th century racing teams. 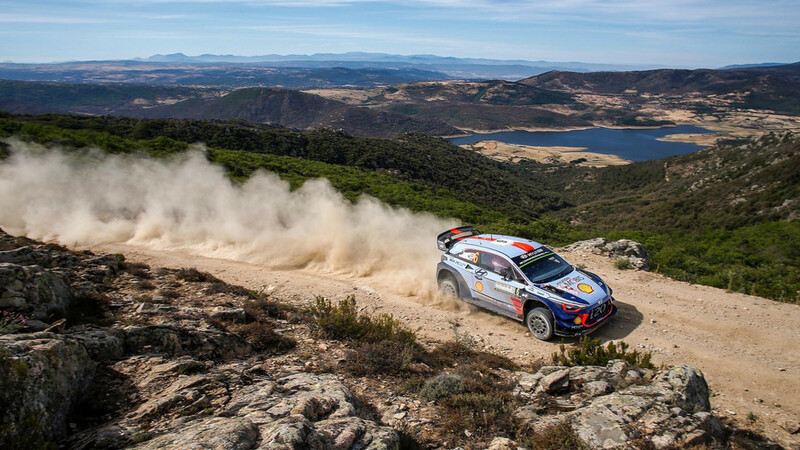 But the company still claims that lessons learned in the challenging environments of the rally stage – cold and hot, wet and dry – translate useful information about how to engineer more robust, reliable street cars. More straightforward is the transfer of racy feelings from the cars you may have seen on European television, to those you can actually buy. On the continent, Hyundai will sell you everything from a race-ready i20 R5 rally car (that’s just below the top-level WRC spec vehicle), to an upcoming i30 N hot hatch that would like you to think twice before you replace your current Volkswagen GTI. This racing program then, is just the market-penetrating tip of the spear that will very soon be the N performance brand. Even more exciting for guys like me who live in Detroit is the fact that we finally have some good news about N going fully global. Our own Steven Ewing reported from South Korea recently, that the sub-brand will be hitting U.S. shores in some form, some time in 2018. 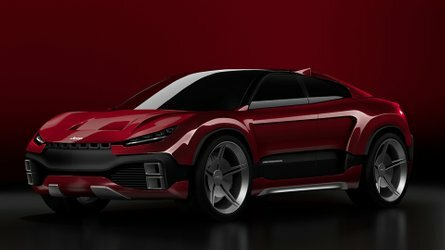 Whether or not the vehicle we see first is some kind of Elantra variant, or, more likely, a go-faster Veloster, is still an open question. But some of what I saw on the shifting stages of Rally Italia will end up in a car that I can drive back home, which is pretty cool. Think about how often the world gets a new performance brand. Now consider how quickly Hyundai has risen in estimation from “cheapest economy car” to “right there with the Japanese,” and you’ll understand my reason for hope, and excitement. 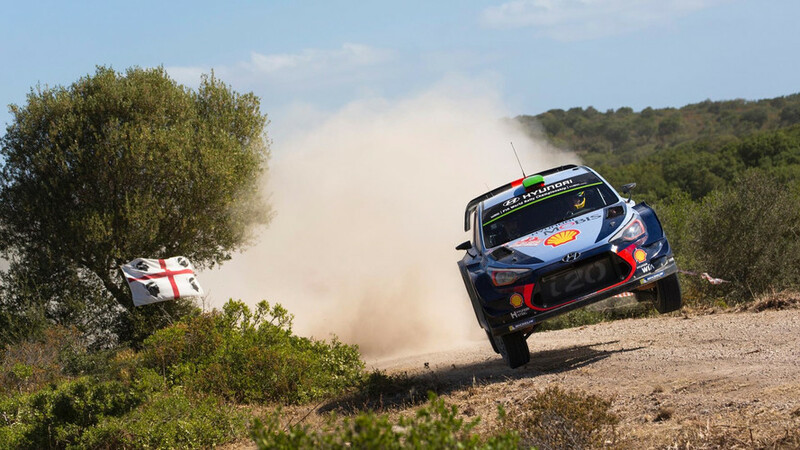 In probably the most exciting part of my trip to Sardinia, I was actually able to ride in the co-driver seat with Hyundai’s Dani Sordo behind the wheel, on a portion of an actual rally stage. Over the course of my career I’ve had a few taxi rides in race cars, but nothing to compare with driving and drifting in an actual WRC car (last year’s model), mere inches from disturbingly large boulders and camera-flailing onlookers. 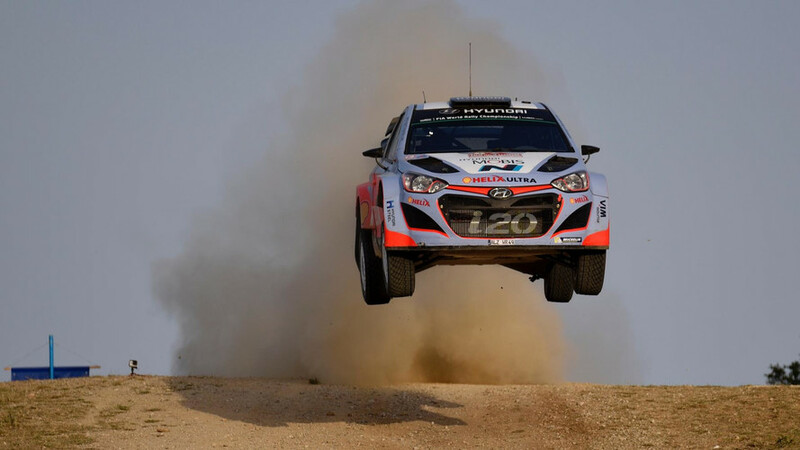 Sordo, and the other pilots who do this for a living, can’t really be 100-percent human. 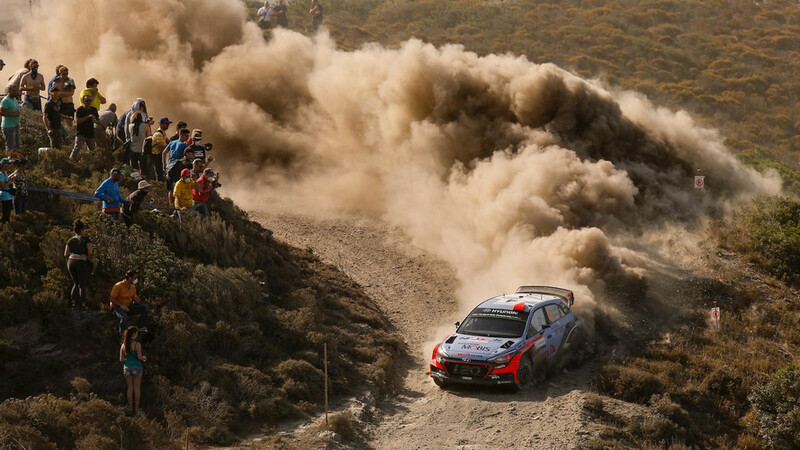 Even at a pace that I’d guess was relaxed compared to full-blooded competition, Sordo’s immaculate car control at speed was hard to believe, even seeing it with my own eyes. Inside the car, progress over the mini-stage was remarkably smooth, even at speeds that forced me back, hard, into the racing bucket seat. 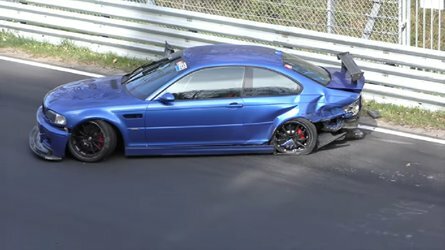 Moves that from the outside seem like controlled chaos – a four-wheel drift on very loose dirt around a hairpin turn – come off as placid in the cockpit, though still accompanied by a hellish racket of flying rockets, cracking gearchanges, and piercing turbo whine. Between the downforce from the aero and the extreme tires, there’s a sense of grip out of every corner that makes me feel as though we’re pulling away on dry, smooth pavement. Would I feel this composed if I bribed Dani to let me behind the wheel for a stint? Almost certainly not. But I wouldn’t say no if the opportunity arose. 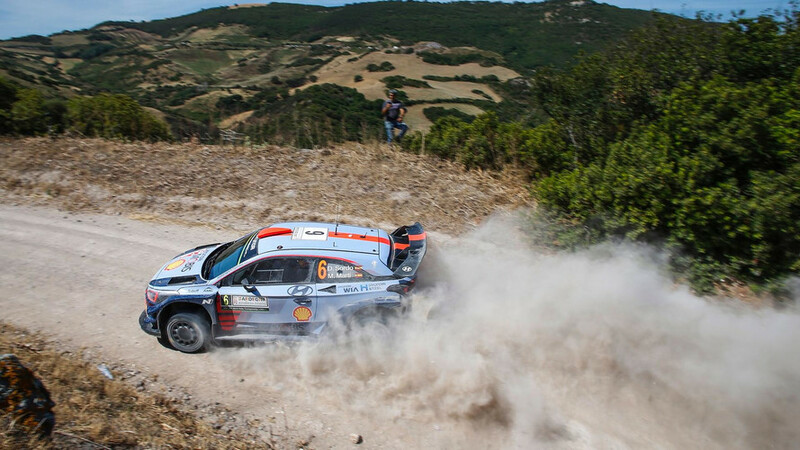 Dirt-caked shoes notwithstanding, my journey to Italy and my first-ever viewing of a WRC event will stand out as one of the better weekends I’ve had in recent years. I attended a race with Italian super fans, rode shotgun in an honest-to-god rally car, and watched an important step in the birth of an exciting new performance brand. If only every pair of sneakers could be so well sacrificed.